M35 high speed tool steel manufacturers and suppliers, supplied in Round Bar,Square Bar,Flat bar,Plate,Sheet and Wire. M35 is a medium-alloyed high speed tool steel.It is also known as HSSE or HSS-E which is similar to M2, but with 5% cobalt added. The addition of cobalt increases heat resistance. M35 high speed steel also offers excellent cutting performance which is suitable for broaches, taps, milling, reamers, hobs, shapers cutters, saws ,etc. 1.M35 is supplied in the annealed and machineable condition. 2.Reannealing will be necessary if the M35 has been hot worked, forged, or hardened. 3.Heat the temperature to 850°C at a rate of no more than 220°C per hour. 4.Hold at the temperature for one hour per inch of thickness(at least two hours). 5.Cool slowly in the furnace or in air to ambient temperature. 6.The resultant hardness achieved should be Max 269HB or lower. 1.Preheat M35 to 450-500°C ,then up to 820-880°C. 2.Heat to the final hardening temperature of 1050-1250°C and make sure the material must be heated through. 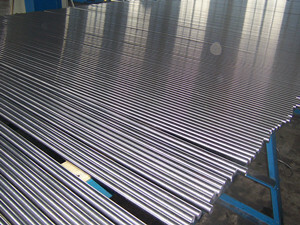 4.Triple tempering is strongly recommended for M35 high speed steel. M35 high speed steel is supplied in accordance with our ISO 9001 : 2008 registration.